The Feast of Saint Adam Weishaupt – Zero Equals Two! Yesterday, 18 November, was the Feast of Saint Adam Weishaupt. While he is best known as a founder of the Illuminati, he was also a philosopher and a professor. American founding fathers such as Thomas Jefferson and James Madison were familiar with, and may have been influenced by his work. Crowley considered him a Master of the Temple. Weishaupt was born 6 February 1748 in Ingolstadt, Bavaria, and died 18 November 1830 in Gotha. In honor of Weishaupt, here is a Bavarian recipe that will warm you up on a chilly night. Melt butter, add farina and flour and brown until golden in color, stirring constantly. Stir into rapidly boiling salted water and then simmer slowly for 20 minutes. Remove from heat, cool slightly, then add beaten egg yolk. Stir well and serve. 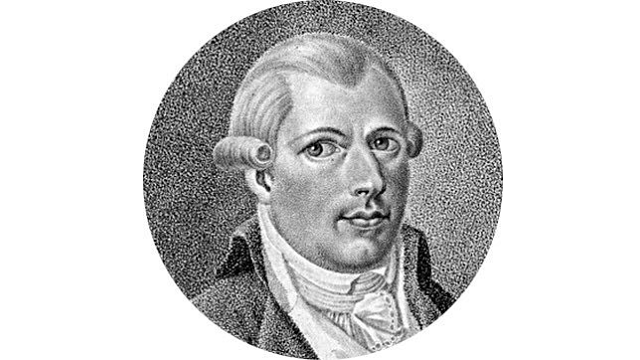 Want to learn more about Adam Weishaupt?